My original cutting celery seeds came from Johnny's. Fedco and many other seed companies offer the ‘Afina’ variety. When looking for any seeds, try the Seed and Plant Finder hosted by Mother Earth News. 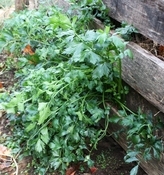 Above, some of 2010's cutting celery plants grew as volunteers from the back of the compost pile. 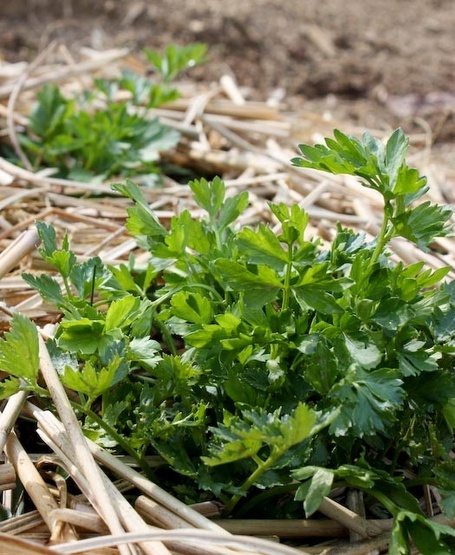 One of the best ways help your garden save you more money is to grow things you would otherwise buy, for example garden celery. If you don't grow your own, celery one veggie to always buy organically grown. In the most recent tests conducted by the Environmental Working Group, 95 percent of conventional celery samples contained pesticide residues. Nearly 85 percent contained residues of multiple pesticides. Underutilized cutting celery has my vote for its snappy fresh celery flavor in a sturdy, slug-resistant package. Many people eat the leaves, too, but I like parsley better and always have plenty. When it comes to celery, give me some stalks! 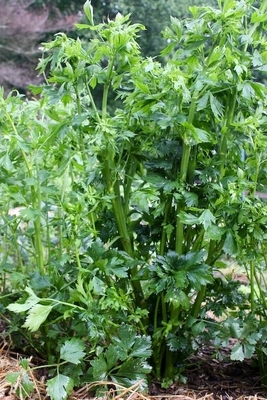 After growing all types of celery in various gardens, I think the best choice for kitchen gardeners is cutting celery (Apium graveolens var. secalinum), a more primitive form of familiar supermarket celery. 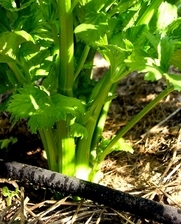 A great cut-and-come-again veggie, cutting celery plants that are harvested often constantly send up new stalks. Hollow, crisp, and packed with flavor, cutting celery is an essential veggie at our house. 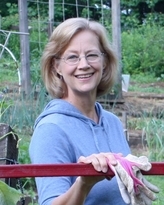 If you can nurse year-old plants through winter (certainly doable in Zone 6), they will send up a huge flush of stems in early summer, followed by lots of flowers and seeds. The ground seeds make a great seasoning for dozens of dishes, and overwintered cutting celery is happy to produce zillions of seeds. "The long, tall supermarket version of celery is a carefully engineered creation, grown on special rich soils using tricky techniques. The garden version (photos at right) is looser, leafier, and darker green, but it's also more flavorful. Every gardener should try growing some type of celery; all are easy to start indoors and transplant in spring, while the soil is still cool. Be ready to provide water, because the one thing celery requires is plenty of moisture to satisfy its thirsty fibrous roots. On the plus side, celery and its close relatives (cutting celery and celeriac) can tolerate a few hours a day of shade." Packed with flavor and fiber, it's best to thinly slice cutting celery crosswise or diagonally. 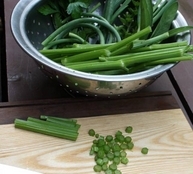 A sharp knife makes quick work of slicing and dicing any type of garden celery. Tor grow garden celery of any kind, give seedlings a long head start indoors. I start seeds in February and thin them to three to a container. When my celery seedlings have three strong leaves, I gently tranplant them to individual containers. Cutting celery that survives winter produces an abundance of flowers and seeds. Volunteer seedlings are often abundant the following year, eliminating the need to start new plants from seed. 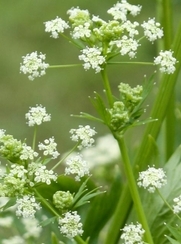 I also grow regular garden celery (Apium graveolens), which does well in rainy years. This year I’m trying Red Giant Reselected, an improved red-blushed celery variety developed for organic gardens. 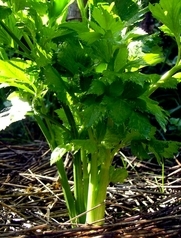 Regardless of subspecies, all types of garden celery (Apium graveolens) need constant moisture. Use a drip hose and mulch to keep the plants from going thirsty. Celeriac, a slow-growing root vegetable, offers another way to enjoy celery. Seedlings set out in spring plump up in the fall. Meanwhile, the hollow stems can be used as novel drinking straws.